Planned giving is an opportunity to make the decision now to make a future gift to Morning Star Catholic School. It is the legacy you will leave for future generations. Your legacy can pass on your values and traditions to your family and loved ones for generations to come and support a ministry that is meaningful to you.  As you provide for the future of your family, please consider supporting Morning Star Catholic School through a planned gift in your will, trust, life insurance or a charitable annuity. Your legacy gift allows us to share God's blessings with our brothers, sisters and future generations! Endowment giving is an opportunity to invest in the future of Morning Star Catholic School and a way to invest in the students that will walk the halls of Morning Star Catholic in years to come. Contributions to the Endowment Fund are perpetual and as the Endowment grows, so does the school's ability to carry on its mission. For additional information on planned giving or Endowment Fund opportunities or other ways to give, please contact Jessica Hubbard, Director of Advancement, at 407-293-7561, ext. 223 or hubbardj@morningstarorlando.org.